Crime And Punishment. Catch 22. Harry Potter. Mills & Boon. I’m sure most book readers would agree that there are some books that you’d be happy to read on the tube, and then there are some that you’d rather admit to fancying Jedward than be caught with. And didn’t you feel extra smug when people saw you reading Tolstoy’s tome War and Peace? It didn’t matter that it weighed a ton and gave you back ache for a month because you looked so literary! Well thank God for Spineless Classics. 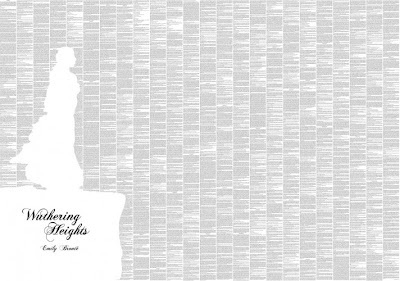 With these clever posters, you can show off your highbrow taste in literature without giving yourself a hunchback, or having to dragging your guests over to inspect your bookshelf (after you’ve hidden all the Sweet Valley High obviously) in the process! 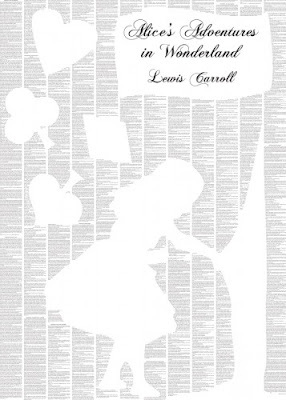 Spineless Classics produce gorgeous prints which niftily display the entire text of the novel on one sheet of paper, as well as managing to use the text to form cute and quirky designs, so it looks like an arty print from afar. And the best bit? Despite being squeeeeeezed onto one sheet of paper, the text is, amazingly, still large enough to be read! Now you’ve got no excuse not to read the classics.